The stock market gave its version of a standing ovation to the Republican midterm election win: A nice boost. 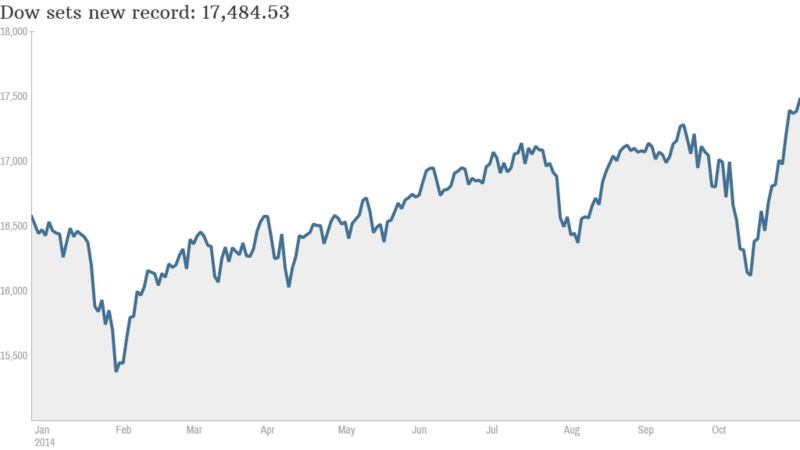 As soon as the market opened Wednesday morning, the Dow leaped to a new all-time high. The indexed finished the day up 101 points to close at 17,484.52. Not to be outdone, the S&P 500 also set a new record close of 2,023.56. The biggest celebration was in the energy sector. Utilities and energy companies surged. Devon Energy (DVN), NRG Energy (NRG) and Chesapeake Energy (CHK) were the top gainers in the S&P 500, with plenty of others in the sector not far behind. "In the run up to the 2016 elections, we think the GOP will want to focus on a few issues they could quickly pass through Congress and get onto President Obama's desk," writes Bob Doll, chief equity strategist at Nuveen Asset Management. Those top issue are likely to include pushing through approval of the Keystone XL pipeline and making it easier to export liquified natural gas. This would be a huge win for energy companies, since other countries often have higher prices for natural gas than America. Gold and silver drop: In a further sign that that investors feeling more confident with current state of affairs in the U.S., gold and silver fell sharply Wednesday. Gold has spent much of the year in the $1,200 to $1,300 range. 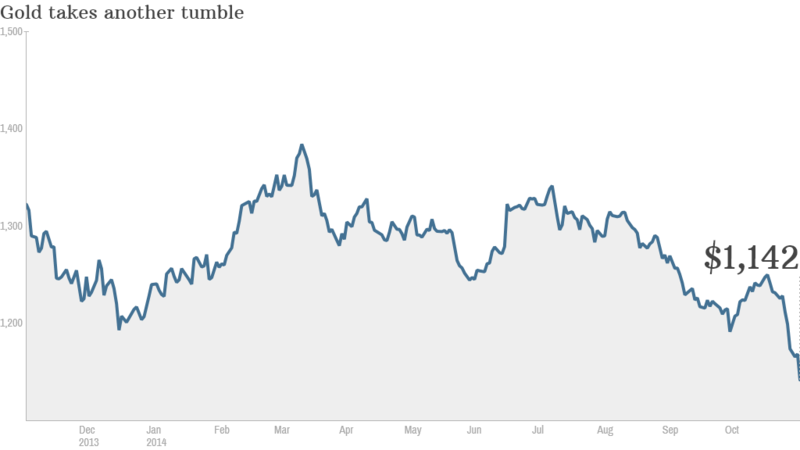 It is now well below $1,150 an ounce, its lowest level in four years. CNNMoney's Fear & Greed Index, a tracker of market sentiment and momentum, is in neutral, a much better place than the "fear" and "extreme fear" readings it was showing for much of October. Crude oil continues to trade below $80 a barrel, its lowest level in two years, although it ticked up slightly on Wednesday after reports of a Saudi Arabian pipeline issue. Aramco, the state-owned oil and gas company in Saudi Arabia, said it had contained the problem. Vacation business blues: One of the few major companies not having a good day is TripAdvisor (TRIP). The stock tumbled 14% after reporting earning that missed forecasts on Tuesday afternoon. While revenues are up, including from advertising on the site, they aren't keeping pace with expectations. This follows a weaker than expected report from Princeline (PCLN)Tuesday morning. FireEye (FEYE) also had a weak Wednesday. Despite being one of the top companies fighting cyerbattacks, the stock dropped 15% after earnings didn't live up to expectations. The firm has had a rollercoaster 2014, trading as high as $95 in March before falling sharply. It now trades around $25. These tech companies dragged the Nasdaq down a bit. The index closed slightly in the red Wednesday.